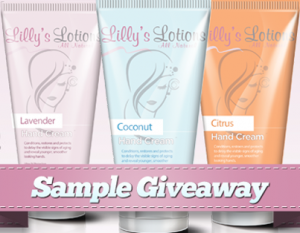 Get a free sample of Lilly’s Lotions – All Natural Lotions. Fill out the sample request form. Choose your desired scent as a sample. I would like to try it out thanks you .